Downtown Cincinnati is experiencing the biggest cultural building boom since the 1880s. If planning capital projects for arts and education is an indication of confidence in the economy, it appears that we are moving out of the so-called “Great Recession.” Museums, theaters, and Downtown restaurants are bustling with popular performances at the Aronoff Center, which celebrates its 20th anniversary with a gala there on Saturday, October 10. The event is hosted by the Cincinnati Arts Association, which also manages Music Hall. While the Aronoff has been the catalyst for a revival of Downtown as an entertainment destination, other cultural organizations are also enjoying increased patronage, which in turn has created a need to increase audience capacity in older buildings. Capital building projects require large investments, and I am always gratified to learn that capable, experienced firms are selected to design and renovate our architecturally significant buildings or to design new ones. Greater Cincinnati is fortunate to have a wealth of talent in architectural design, engineering, and building construction. Many of them are busy of late. Several nonprofits are expanding programs to meet patron expectations. Christ Church is celebrating the start of its third century with a capital campaign for renovation and expansion of its Fourth Street campus. The Cincinnati Shakespeare Company, which stages classic theater production in a onetime movie theater on Race Street and in public parks, is planning a new theater closer to Washington Park and the School for the Creative and Performing Arts. Cincinnati Museum Center in Cincinnati Union Terminal is beginning a much-needed renovation of the Art Deco landmark, which is the city’s most-lauded architectural masterpiece. And the campaign to revitalize Music Hall, the marvelous Victorian Gothic masterpiece that launched the cultural building boom of the late nineteenth century, will be restored, reconfigured, and modernized while retaining most of its beloved historical eccentricities (as will adjacent Memorial Hall). The current cultural building boom does not signify a new sensibility. Rather it demonstrates a continuation of the city’s early commitment to the arts, which contributed to its designation as “Queen City of the West” in the nineteenth century. Leading citizens then (as now) were expected to build and support institutions that would bring education, edification, entertainment, and civility to this fledgling city in the wilderness. Consider that the founding donors of the parish of Christ Church were convened by the Reverend Philander Chase in May 1817, at the house of Dr. Daniel Drake. They included then Congressman and later ninth President of the United States, William Henry Harrison, bank president Ethan Stone, tavern owner Griffin Yeatman, and Arthur St. Clair, Jr., grandson of the territorial governor who renamed the Losantiville settlement Cincinnati. Three hundred years later, Christ Church remains a vital institution in the city center. And civic leaders, led by Murray Sinclaire, came together in the twenty-first century in a Cultural Facilities Committee, dedicated to preservation of Cincinnati’s major monuments. To celebrate its third century, Christ Church is planning several capital building projects, which are still in the design and fund-raising stage, so construction has not yet been scheduled. The goal is to renovate the nave of the main church and the Centennial Chapel. 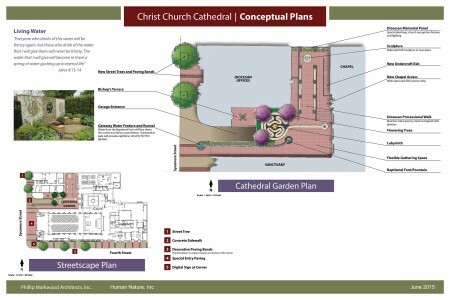 The latter will gain a garden that will integrate it with the Episcopal Diocese building to the north. Many of the proposed changes will enhance the parish’s ability to expand it highly popular organ and choral programs. I attended several performances there for the World Choir Games, and the acoustics and spaces are admirable. Philip Markwood Architects, the Columbus firm that designed an earlier renovation of the main church, is design architect for the upcoming expansion and renovation. Christ Church has added a social services program to its Third Century campaign. The congregation will sponsor a Scholar House initiative, modeled after one in Louisville. This program will provide housing and childcare for single parents who wish to pursue a college degree. The Model Group would manage the residential construction component of the program. The project harks back to the vision Mary Emery had for the parish in the nineteenth century, as a spiritual and social resource for the then-disadvantaged neighborhoods bordering Lytle Park. Designed by Samuel Hannaford, the Springer Auditorium and Exhibition Center opened in 1878 for the second May Musical Festival. It was an early example of cultural building philanthropy, and it was one of the nation’s first successful challenge-grant fund drives. The current Music Hall revitalization project has struggled with fund-raising and governance problems. But as of September 2015, when the timeline and design team was announced, the Music Hall Revitalization Company, led by businessman/philanthropist Otto Budig seemed to have everything under control. The building is owned by the city, managed by the Cincinnati Arts Association, and it is home to the Cincinnati Symphony Orchestra, Cincinnati May Musical Festival, Cincinnati Opera Company, and after renovation, the Cincinnati Ballet. Upon request of the organizations and the volunteer leaders nonprofit development and finance company, 3CDC, agreed to manage the renovation. Its director, Steve Leeper, gave a comprehensive report to the supporters at the Society for the Preservation of Music Hall annual member meeting in September. (The design team had been revealed at a press conference the day before.) I was impressed with the selections: the architectural firms Martinez + Johnson, based in New York City and Perfido Weiskopf Wagstaff + Goettel of Pittsburgh have solid experience in design of performance spaces and in historic preservation. 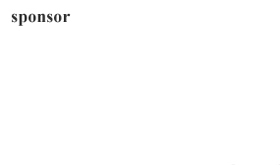 And I am always reassured to see here Cincinnati’s THP listed for engineering and Messer Construction (one of the city’s many exceptional builders) named the general contractor. Akustiks was selected by the performing arts organizations to consult on the critical task of maintaining the hall’s fine sound. The Connecticut-based firm has already conducted live studies with the orchestra. Mr. Leeper candidly explained some of the steps in value engineering required to take the project from a projected $200 million to a more manageable $129 million after the Hamilton County commissioners declined to place the hall on the “save our icons” ballot last November. Eight families, foundations, and corporate donors have made gifts of $1 million or more to the $53 million goal of the private fund of The Music Hall campaign. Donations, which are still needed in excess of $6 million, may be made through The Greater Cincinnati Foundation. The resident companies and the talented folks at 3CDC have done a good job working within a reduced budget. I don’t think that any of the deletions Leeper described will diminish the historic character or functionality of the building. While I lamented loss of the early proposal to incorporate the original carriageways into the program, I agree it was an expensive eccentricity with limited functional value. (One of my tests of good architectural design is how well it embraces the program of the people or organization it is designed to serve. Good buildings work by being practical and functional.) And in the process of being useful, well-designed and well-built structures should become pleasing and attractive to the users. I was pleased to hear that the original proposal to open the brick-blocked windows of the eastern facade overlooking Washington Park is still in the plan. It will make a huge difference in the appeal of the big, bulky building to restore it to Hannaford’s design. I wish the same treatment could apply to fenestration in the west facade, which I find equally attractive in a stolid, masonry way. The Society for the Preservation of Music Hall has recovered the art-carved panels from the original organ case. They are being restored with a grant from the Corbett Foundation and will be reassembled in the refurbished Corbett Tower. SPMH trustee Kathy Jansen spearheaded the project. Music Hall is a beautiful, exceptional building, which contributes to our sense of place. It is loved by area residents and admired by visitors. We are indebted to CAA, volunteer leaders, SPMH, and all of the donors who are making its restoration a reality. Music Hall will close in June 2016 after May Festival. The resident companies will maintain regular performance schedules at the Taft Theater, which was renovated recently with a lead gift from the Carl Lindner family and at the Aronoff Center. It will reopen in fall 2017. Cincinnati Union Terminal was transformed from abandoned railroad terminal to museum complex in the 1980s with a combination of public and private funding. The architects were E. Verner Johnson Associates of Boston and glaserworks in Cincinnati. Messer/Cargile was the construction manager. When it opened in 1990, the complex housed the Cincinnati Historical Society and Library, the Natural History Museum, Children’s Museum, and Robert D. Lindner Family Omnimax Theater. It has been a huge success. The first renovation was stopped short of restoring several artistically important areas such as the dining rooms. HGC Construction did those in Phase One of the second renovation, based upon architectural plans by glaserworks. The upcoming renovation, which is primarily focused upon building repairs, will be done with Hamilton County voter-approved tax monies and private donations. GBBN Architects is the architect and Turner Construction is the contractor. The project, which will take about two years, involves replacement of windows and repairs to roofs, systems, and the splendid fountain. Construction work will begin in the second quarter of 2016. The museums are expected to remain open throughout. HGC recently completed a major addition to Summit Country Day School, in Hyde Park, in record time while students were on summer vacation. This remarkable resurgence of cultural activities and facilities for Greater Cincinnati is not unprecedented. Historically, the creation and renovation of architecture for the arts has been clustered into decades, including the 1870s and 1880s, when Music Hall and the Cincinnati Art Museum were built and the 1980s when the J. Ralph and Patricia Corbett Foundation renovated Music Hall and made grants for construction of performance spaces at the University of Cincinnati and other local campuses. In the early years, support for eleemosynary and cultural institutions came almost exclusively from wealthy individuals. In twenty-first century Cincinnati, the importance of personal philanthropy continues. But we are fortunate to have private funds supplemented by major contributions from corporate and public entities, including city, county, and state government. Now that nonprofits are making building plans and donors are signing pledges for capital gifts, local architectural and construction firms are hiring. And arts patrons are applauding as design teams and timelines are announced for the renovation of landmark buildings and new ones are commissioned. Successful philanthropy requires resources and donors willing to share their good fortune. But it also takes visionaries with imagination who dare to dream big dreams and leaders who inspire others to embrace the cause. Cincinnati has been blessed with exceptional designers, leaders, and donors. Moving into the third century, they continue to build and a remake a great city. All of these construction projects continue to seek gifts. Prospective donors may find contact information on respective websites of the nonprofit organizations.